So What's a Lean Law Firm? So I'm just back from a fabulous ABA TECHSHOW. A lot of tasks have accumulated in my absence. Emergencies were handled remotely with today's technology. But, ABA TECHSHOW, at least the way many of us do it, is a dawn to late night experience, so things that can wait do wait. Long ago when I was a much younger lawyer, I learned something from a stellar legal assistant that I still observe today. She called it "First Day Back." She said a lawyer should never voluntarily schedule anything for the first day back after an extended absence. There may be something really urgent that happens and must be dealt with ASAP. But mainly it is because the First Day Back is a good time to clear out all of the accumulated pending tasks, catch up on the mail and handle other things to prepare for a productive week. The surprising thing today involved going through the mail. (How retro, right?) I received two new books from the ABA Law Practice Division. One was The Lean Law Firm: Run Your Firm Like The World's Most Efficient and Profitable Businesses by Larry Port and Dave Maxfield. Larry Port is the CEO and Founding Partner of Rocket Matter and Dave Maxfield is lawyer from South Carolina who notes in the forward of the book that every minute of his 24 years of law practice has been in a two-lawyer firm or as a solo practitioner. This should be noteworthy to all of the small firm lawyers who have mentally filed away Lean, Six Sigma and other management practices as for the big law firms and not for them. The words on back of the book caught my attention by stating it was the first book published by the ABA "to employ the graphic novel to teach business lessons." For those who don't know, the term graphic novel often refers to what some of us of a certain age used to call comic books. So I opened the book to read a few pages and, no, it is not a comic book. But it captivated me for 24 pages with its opening story before I was forced to put it down. So this isn't a book review. I've only read 24 pages. But the book is going to stay on my desk instead of immediately going into our OBA MAP Lending Library and I'll order another copy for the Lending Library this week. That should tell you something. First Day Back is perhaps not a Lean process, but it kept something important from slipping past me in a rush of office appointments today. I am even more pleased now that Oklahoma City attorney Frank A. Urbanic is speaking at the 2018 OBA Solo & Small Firm Conference on "Improving Efficiency & Reducing Waste In A Law Firm With Lean Six Sigma." And (shameless plug to OBA members) registration is now open. I recently published Time-Saving Microsoft Word Customizations and Tools in the Oklahoma Bar Journal. As Barron Henley of Affinity Consulting frequently notes, one of the challenges of Microsoft Word is that you can work with it for years and your skills won't improve much because so many of the powerful tools within Word are hidden so deeply you would never stumble across them. In this column I discuss a few basic features of Microsoft Word that are very useful for lawyers. But for those who have not done so the real "gold" in this column is learning how to add the items you frequently use to the Quick Access Toolbar and how you should customize the Status bar. Many Word users will find that they will save several minutes every day just by adding the email Command to their Quick Access Toolbar because, in my world at least, you often want to email a document immediately after you have completed and saved it. The OBA-MAP Reading Room is a month-by-month collection of things about law practice management, technology and the future of law that I found interesting and worthy of sharing. I don’t always do a blog post about each new Reading Room. But the last two months of 2017 yielded an embarrassment of riches. So I decided to pass along these link sets to my readers. The total is thirty great, if often discomforting, articles to read that will help you focus on the future direction of your law firm. November begins and ends with features from AttorneyatWork features. If you care anything about artificial intelligence and the practice of law you shouldn’t miss Running With The Experts: Takeaways From The 2017 Futures Conference and I have to acknowledge the final edition of Bob Denny’s annual wrap up, What’s Hot and What’s Not in the Legal Profession (Say it’s not so Bob!). In between those items you’ll find two great features on VPN services, philosophical thoughts from Mark A. Cohen in Forbes Forbes on What's A Lawyer Now? And there is an absolute "must read" for solo and small firm lawyers primarily serving individuals: The Decline of the PeopleLaw Sector. I didn’t suggest the title. “Naked and Afraid in the Digital Age: Survival of the Fittest” was dreamed up by my Executive Director and some of our creative OBA officers. But I did get to suggest a lot of the content. It embraces some scary, but very useful information for those in our profession. There is still time for Oklahoma Bar Association members to register for this program presented in Tulsa November 1 in conjunction with our OBA Annual Meeting. Registration for the OBA Annual Meeting is not necessary to register for this continuing legal education program. You can register for just the CLE program or for the entire Annual Meeting. Register here. There are other options to attend in this multitrack program. So check out the other great CLE programs offered that day. But for those readers in other jurisdictions who may not be able to attend, I thought I’d share our programming lineup. Don’t be afraid. Just become more engaged and how law practice is evolving and how these changes can impact your law practice. On Thursday morning November 2nd, there are no fearful topics. Life. Law. Love. Earn More, Stress Less & Be Awesome will be the topic of Nora Riva Bergman, Attorney Coach and Author of the book, 50 Lessons for Lawyers: Earn More. Stress Less. Be Awesome. I’ve heard Nora speak before at ABA TECHSHOW and this will be an entertaining and valuable presentation. I’ll be following that up with a program that should be of interest to all lawyers, Marketing Your Practice in a Digital Age. As always there is some great CLE at the OBA Annual Meeting. Next week is our Opening Your Law Practice program here in Oklahoma, but one of the major resources we provide is available online to all lawyers. We at the Oklahoma Bar Association Management Assistance Program team put on this program three times a year right after the new lawyers admission ceremony. Next week, the daylong class will be held October 3 at the Tulsa County Bar and October 4 at the Oklahoma Bar Center in Oklahoma City. Earlier this week 205 applicants became Oklahoma-licensed lawyers. We wish all of them would attend our program, whether they are opening up their own law practice or not, because we provide a lot of information about manage a law practice. You can see the class schedules at the links above. If you are interested in starting a new law practice, you’re welcome to visit our OBA-MAP Starting a Law Practice Web Directory. There are quite a few downloadable documents and links to many resources, including many of those published by other state bar associations who have practice management advisors like myself on staff. Between our resources and their resources, there is a lot of valuable information completely for free. All Oklahoma lawyers are welcomed to take this free training. We do accept walk-ins, but would appreciate it if lawyers who want to attend would contact my assistant Nickie Day before close of business Friday, September 29 so we can have sufficient lunches for everyone. For many years now, lunch for the attendees at this program has been graciously provided by Oklahoma Attorneys Mutual Insurance Company. This program is primarily about the business of law, which today includes much more about technology than it would have many years ago. While we will have mostly brand-new lawyers in the audience, in the past we’ve had a mix of attendees including lawyers leaving large firms, recently retired judges and district attorneys. It is an in-person attendance only event. One of my favorite comments was from a retired judge who told me afterwards “This was an incredibly valuable seminar because it became very clear to me that I don’t want to do all that stuff.” He works as a mediator for a mediation practice now and is quite happy with that decision. Some lawyers open a new practice directly out of law school because it is been their long term dream. Some open their own practice because they didn’t find employment after graduation. Some join an established small firm practice that could use a bit of updating with its processes. Helping new lawyers begin and seeing their excitement at the beginning of their careers is one of the most satisfying things I get to do. What tools do you primarily use in your law office? 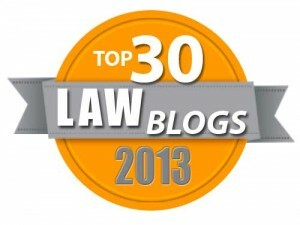 For most law firms, high up on the list of most-used tools are email and Microsoft Word. Law firms produce documents−lots of documents. Considering how much effort is expended each day producing documents, it is somewhat surprising that many law firms and their support staff are not that skilled at using Microsoft Word. Many of us started out as WordPerfect users. But Word and WordPerfect work entirely differently and skills with one program do not translate to the other. One of the very best instructors I have ever seen on Microsoft Word for lawyers is Barron K. Henley with the Affinity Consulting Group. He is coming to Oklahoma this month to teach Mastering Microsoft Word in The Law Office this week. This is a great program to improve office productivity. Here are the links to see the schedule with all of the topics covered and for registration. I already know of at least one lawyer who has enrolled for the webcast with the plan that his legal assistant will be "auditing" the class along with him, learning as well. If you are not an Oklahoma Bar Association member and want to attend the webcast on Friday, you will need to call Renee Montgomery at 405-416-7029 before 1:00 p.m. on Thursday April 20th to enroll. I interviewed Barron for my column two years ago in Law Practice magazine, Your Document Czar. Go read that if you need any additional motivation. One rule of smart use of social media is to not immediately blog or post in response to something that makes you unhappy or upset. But we lawyers think we know when it is appropriate to bend the rules, don't we? So the subject of my unhappiness is the post It’s Payback Time, Or Lawyers May Have Sown The Seeds of Their Own Destruction by Kenneth Grady. This piece is illustrated with a Dickensian picture of a stingy, mean lawyer working by candlelight. The opening is "The legal profession has never been filled with saints. Long before industrialization gave an adrenaline shot to the profession, lawyers were admired for their skills, though not known for their charitable ways." If that is your view of the history and current standing of our profession, maybe you are not associating with the right lawyers. Because we have our sinners, but we also have our saints. And from my perch, the saints outnumber the sinners. I want to say at the outset that Kenneth Grady is one smart lawyer. In fact if I were to assemble a short list of the people who write and share the most significant and forward-thinking material about the legal profession, he would be included. Once I was quoting so much from some of his work in a paper I was writing I asked him for reprint permission. He agreed, of course, and thanked me warmly for asking instead of just using copy and paste. But he breathes the rarefied air of the very large law firms with hundreds (or thousands) of lawyers. I do understand his post reflected his frustration that when he asked his readers for huge "Moon Shot" ideas on ways to improve our legal system or law firms and those who responded mostly discussed making more money. While I do share his disappointment, I am less surprised for reasons I will discuss shortly. But as far as lawyers all being just about making money, my experience as a young lawyer was just the opposite. I recall being amazed at how much legal work lawyers did and were expected to do for no pay or low pay. I have shared with many young lawyers that I once represented a client for almost a year with multiple court hearings for the court-appointed lawyer fee of $500 because I happened to be standing in the back of a Cleveland County, Oklahoma courtroom waiting for a matter to conclude so I could get the judge to sign an order. I didn't resent that duty in the slightest. I was, and am still, proud to be considered an officer of the court and was proud my client ultimately had a much better outcome than would have otherwise been the case. But that wasn't just me, almost all of the local lawyers took their share of court-appointed cases, with the more simple cases also being great training for new lawyers and the judges being aware of who should be court-appointed for a murder case. Certainly times have changed since then and for a variety of reasons, many states rely on different methods of court appointments, including full time public defenders, which I assume works well in many places, but reportedly has turned into a mess in Louisiana. I would also point to a recent study indicating that solo practitioners make 35% less in inflation-adjusted dollars than 45 years ago. Not precisely all about the money for certain. Mr. Grady also wrote "we need to accept gracefully the fact that among the three learned professions (divinity, medicine, law), lawyers cannot claim the frontrunner spot except when it comes to making money." Certainly we cannot compare ourselves to the clergy for saintliness, but I would note that our Rules of Professional Conduct bind us all to non-money-making public service. ABA Model Rule 6.1 discusses pro bono service to those who cannot afford to pay. (The language of this rule varies among the states.) Rule 6.2 discusses the duty of accepting court appointments. Rule 6.3 and 6.4 also discuss donation of lawyer time for the public good. The access to justice problem is real and is the subject of many commissions and courts. It is wrong that many of our citizens cannot afford the legal services that they need. I also take issue with the the overly broad sentence that "the efforts of state bar associations to prevent the demise of lawyers simply hasten the process of destruction." Lawyers volunteer time here in the Oklahoma Bar Center almost every week to work on improving our justice system and the lives of the citizens of our state. Just this fall, Oklahoma Access to Justice Commission, the ABA and the Oklahoma Bar Association launched an online resource to provide those of limited means free answers to basic legal questions. Volunteer lawyers flocked to provide their time to help others who need it with absolutely no benefit to themselves. Many other states have done the same. You can see the result at Oklahoma.freelegalanswers.org. We are working on other ideas even now. The problem with asking mega-firm lawyers for a moonshot approach to radically change the world is the very nature of a firm with hundreds or thousands of lawyers. They have amazing expertise in their area of focus, but would have to consult a partner in another practice group for legal knowledge outside of their focus. Unless they have had a personal situation, they wouldn't have a clue in most cases of the challenges of a battered spouse needing legal help or what a lawyer might do for a family family facing eviction. Our laws, rules and regulations are much more complex than decades ago, with lawyers often taking the heat for what is really the responsibility of lawmakers and regulators. As futurist Jordan Furlong opined, "In the 1980s, you could probably know pretty much everything important about wills in your state, and still have room left over in your mind palace for the fundamentals of divorce and DUI defense." Today he says, he is not so sure. For a long time now, law firm practice group leaders have been told to focus on profitability. So I'm not too surprised that when asked for deep thoughts on innovation, their first response was along the lines in which they had been thinking. That doesn't generally reflect negatively on them so much as it discloses their recent focus. To plan a moon shot, ask the astronauts. For me, I think of the critical need to embrace today's law office technology and invest in office automation. A larger law firm concerned about declining market share would be well served to read Jordan Furlong's post yesterday "You’re not selling what we’re buying." An over-worked public defender in Louisiana would have an entirely different response. But I agree strongly with Kenneth Grady on one point. We do need moon shots --many of them! 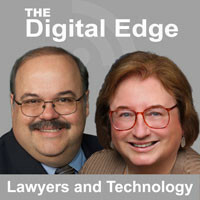 Trust account management is an important subject for lawyers in private practice and our Digital Edge podcast Trust Accounting for Lawyers has some great information and tips from a knowledgeable authority. Sheila Blackford is an attorney and practice management advisor for the Oregon State Bar Professional Liability Fund. She is also the author of an upcoming book from the ABA Law Practice Division on this subject. Sheila is fun and engaging and brings her common sense approach to this topic. Sharon Nelson and I have known her for many years and were so happy that our friend agreed to be our podcast guest. Trust accounting is simple if you have a good process in place and Sheila discusses both manual methods of balancing the trust account and technology-based solutions. Thanks, Sheila. Oklahoma lawyers who would like to learn more about trust accounting and modern tools for trust accounting are are invited to the Oklahoma Bar Center on the afternoon of December 6 for a CLE program Trust Accounting Essentials. The program is from 1:30 pm to 4:10 pm and features OBA Ethics Counsel Joe Balkenbush and OBA Practice Management Advisor Darla Jackson.The program will (1) describe the rules for handling trust funds and property; (2) discuss relatively recent changes to the handling of fees and trust transactions; and (3) provide practical guidance on how to use both print and electronic tools to produce client and general ledgers and to perform proper three-way reconciliation of trust funds accounts. Early bird registration deadline is Tuesday November 29, so enroll by then for savings. But feel free to register anytime. This program will not be webcast.